I am secretive. I am a snob. I am heartless. Whoah. The last word might have been too much. I prefer you call me “mysterious” — that was how I was described by one of the boys in my class back in high school simply because I don’t tell much about me or anything. It is not that I have no story to tell, it is just that I am not used to talking to a lot of other people. But trust me, I am not a loner. Nor I am sad. I am fine. I grew up befriending my little sisters and my parents and yeah, in school I was too busy with perfecting my ABCs to actually play with other kids so I just go home. Not much time for play because I was already tired. And weekends? Two days off-school work! Not off school, I mean school work when you are not actually in school. That kind of off-school. But one thing people do not usually understand is that I am always the silent one because more than talking, I love to listen. Listening allows me to know more, see more, and laugh more. When you throw a joke at me it’s not likely I would punch back because my brain is acting too slow to actually think of a line. If Psychological tests are reliable, I always end up being an ISFJ. Introverted. But as an introvert, I am not antisocial, it is just that… OK, the next thing I’m about to say might blow up everything for me but let’s say for example, if life were a chess game, I would never be the pawn. So, the next time people say I don’t smile enough, or I am a snob, they must know that I just probably have delayed reactions. Don’t be hurt. It is nothing personal. I love people. I am just always unconsciously uhm, lethargic. And oh, a good book to read. 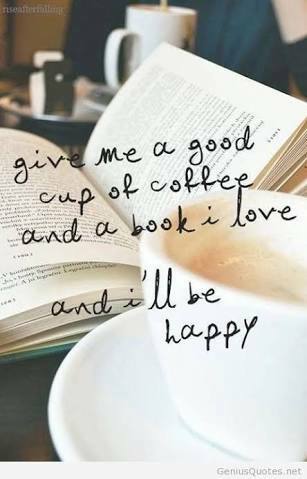 That is a perfect weekend activity. Oh wait. I have yet to finish the book I’m reading. But give me a hug when I say so, all right?